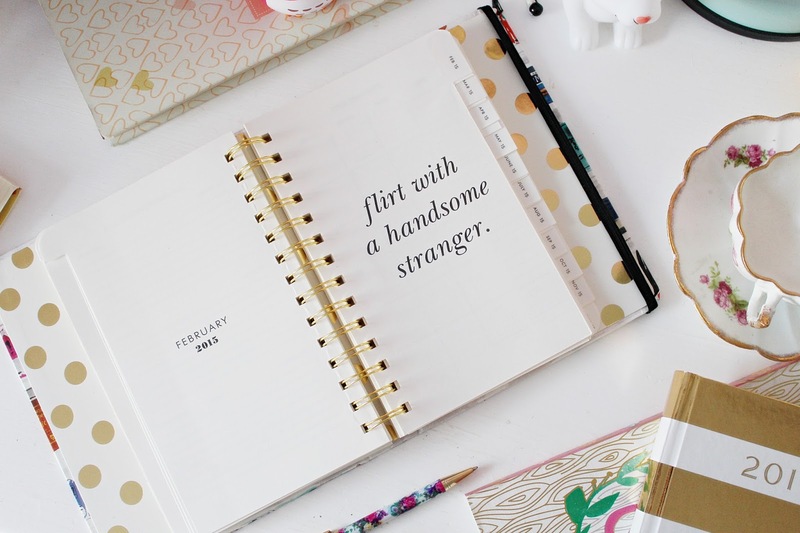 I can finally post about my beloved 2015 diaries, after scouring everywhere to try and find the 'perfect' diary to no avail, until two lovely blogging pals (Maxi and Charissa) came to my rescue and got hold of my dream diaries for me. Needless to say, I am in stationery heaven right now. 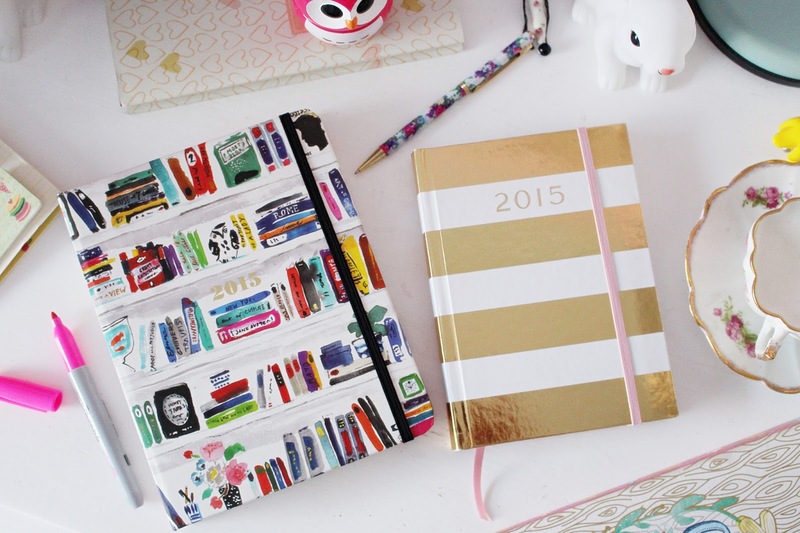 I always believe to get off to the best New Year possible, you need a damn good diary. 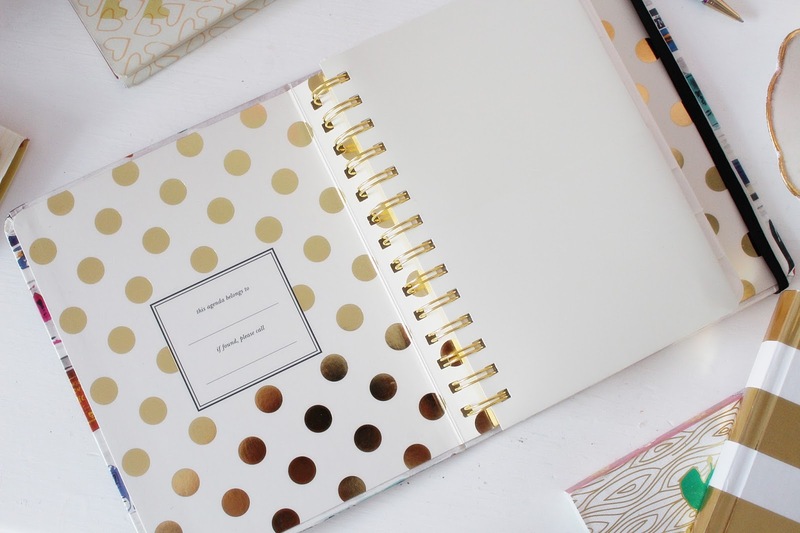 Being an avid stationery hoarder, I usually have two or three on the go at one time (one for work, one for life and one for blogging, naturally) and I find this works well for me. I usually get a couple of diaries over Christmas, but this year, however, I was left diary-less. I felt a hint of trepidation as I welcomed in the New Year, fully aware that without my diary, I am a dis-organised fool. However, I am now armed with my diaries (half way through January, better late than never) and raring to go. There is something so satisfying about going through those first few fresh pages, neatly writing in diary dates and upcoming birthdays, events and suchlike. I probably sound like a stationery-obsessive, but I know I'm not the only one who feels like this! So, what are my weapons of choice for battling the year ahead? After wanting a Kate Spade diary and searching high and low for a cheaper alternative (Kate Spate ain't cheap y'all) I've actually ended up with one Kate Spade-inspired diary, and one ACTUAL Kate Spade agenda. I know, I know - the stuff dreams are made of. I am in a metallic striped, perfectly printed heaven right now. The first Kate Spade-esque diary is a sweet A6-sized affair with gold and white stripes, and pastel pink detailing. It is a girly girls dream and is actually pretty thick - it comes with a big section for addresses and notes too. It's the perfect size for your handbag, and even has a cute little slot at the back for popping bits and bobs (important things like receipts, or, in my case, stickers) in. The best thing? It's currently in the sale for £3 at M&S - but you might have to hunt it out if you want one - they're out of stock online unfortunately! The actual Kate Spade agenda I got is in the Medium size (around A5) and is a gorgeous book-print. Being an avid reader I adore this print, especially as tonnes of the classics are sitting on the shelves. It's emblazoned with a gold metallic '2015' and inside it actually begins in August 2014 - as it's a 17-month agenda - which is slightly annoying but for the price I paid for it, totally worth it. Charissa snapped me this up from a shop in Newcastle for a mere £6 (talk about a bargain!) and I'm so excited to have some Kate Spade stationery in my life at long last. Inside there are cute quotes and month-to-view as well as week-to-view sections, a pouch like in the M&S one for bits and bobs, all in a gold spiral-bound form. I LOVE IT.